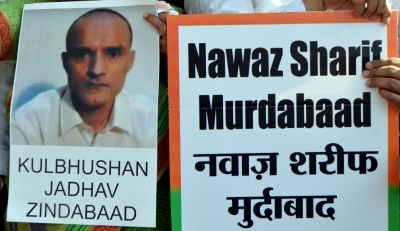 New Delhi, May 15 (IANS) The Hague-based International Court of Justice (ICJ) is expected to hear on Monday the case of Kulbhushan Jadhav, the alleged Indian spy sentenced to death by a Pakistani military court. An Indian legal team led by former Solicitor General Harish Salve is already in the Hague. “We may have a hearing on Monday…,” Salve said, after India won the stay over Jadhav’s death sentence at the ICJ last week. India is scheduled to first argue its case. This would be followed by arguments from the Pakistan team led by Attorney General Ashtar Ausaf. The Indian team is expected to focus on the violations of the Vienna convention by Pakistan on the issue of denying consular access to Jadhav, and on the lack of transparency in the Pakistani military court, which India said was “illegal”. India moved the ICJ last week to save Jadhav after Pakistan denied consular access despite 16 requests. Pakistan has said the Indian move to approach ICJ was an attempt to divert attention from “state-sponsored terrorism in Pakistan” and that it was analysing the ICJ’s authority in the matter.